You keep washing your hair but just can’t seem to shake those sneaky little white flakes on your scalp? There is a myriad of factors that is to blame for dandruff, from your eating habits to how often you wash your hair. In this article, I’m going to show you how to get rid of dandruff quickly and also permanently. What Is Dandruff And Can It Be Treated? Dandruff happens when the skin is not able to exfoliate properly. This leads to dead skin getting stuck on the scalp and starting to flake and itch. The condition causes a red, flaky and itchy skin because of too much yeast being present on the oily areas of the skin. Although dandruff is completely harmless and easy to treat, it can be very embarrassing and itchy sometimes. Flaking might be the most visible sign of dandruff, but not the first one. Itching is mostly the first symptom to show itself and act as a warning sign while dryness and redness are the key symptoms to look out for. Dandruff may be a result of various factors like a dry scalp, eczema, seborrheic dermatitis (a skin condition), psoriasis or a fungus called malassezia. Here is a list of the most common reasons that can cause dandruff. Reason #1: You’re stressed out! As Stress impairs your immune system, it can provoke flare-ups, particularly when the dandruff feels itchy. Feeling stressed out can perpetuate one hell of an itch-scratch cycle: the more you scratch, the itchier it becomes and the more flare-ups can be provoked. Reason #2: You’re either not shampooing or rinsing your hair enough. Dandruff can be caused due to a build up of oils or sweat on your scalp. Washing your hair frequently can reduce the sebum and control dandruff. Shampoos that contain tea tree oil are proven to significantly improve the severity of dandruff. Make sure to rinse shampoo thoroughly, because leftover residue can be a feeding ground for dandruff. Reason #3: You’re sensitive to your hair’s natural fungus. It is believed that dry skin is one of the main causes of dandruff, which in fact isn’t. The real reason is an overgrowth of a yeast called “Pityrosporum orbiculare”. The yeast feeds on skin oils, which is probably why people with oily scalps tend to be more susceptible to dandruff. Reason #4: You’re over-styling your hair. Certain oils or thick pomade can worsen dandruff. Some hair styling products can build up on your hair and scalp and cause oiliness, which makes yeast proliferate. If you think some of your hair products might be the real culprit, make sure you cut back on them. Reason #5: You’re not eating properly. There are certain foods that might cause dandruff, especially if you are already prone to dandruff. High saturated foods and trans fats can cause an overproduction of oil and worsen dandruff. Aim to eat more monounsaturated fatty acids, which are contained in olives, avocados, nuts or safflower oil. Foods that are rich in Vitamin B, e.g. oatmeal, eggs, bananas and rice can improve the symptoms as well. 1. Lemon: Lemon has some very handy uses! If you have lemons on hand, massage 2 tablespoons of lemon juice into your scalp and rinse with water. After that, stir 1 teaspoon lemon juice into 1 cup of water and rinse your hair with it. Repeat this procedure until the dandruff is gone. 2. Coconut oil: This is a very effective dandruff treatment as well and smells nice too. Before taking a shower, massage 3-5 tablespoons of coconut oil into your scalp and let it absorb for an hour. Apply your shampoo as usual. 3. Aspirin: Aspirin has the same ingredient as many dandruff shampoos. Crush 2 aspirins to fine powder and add it to the normal amount of shampoo you use. Leave it on your hair for 1-2 minutes, rinse well and wash it again with plain shampoo. 4. Baking soda: Baking soda reduces overactive fungi that can cause dandruff. After wetting your hair, rub a handful of baking soda vigorously into your scalp. Instead of shampooing, go right to rinsing. Repeat this procedure and don’t worry about your hair getting dry at first, because your scalp will start producing natural oils after a few weeks and make the dandruff disappear. 5. Tea tree oil: It is scientifically proven that shampoos with just 5% of tea tree oil significantly improve the severity of dandruff. Simply add a few drops of tea tree oil to your shampoo and wash your hair normally. 6. Apple cider vinegar: The acidity of apple cider vinegar makes it harder for yeast to grow by changing the pH of your scalp. Simply mix a quarter cup apple cider vinegar with a quarter cup water in a spray bottle and spritz it on your scalp. 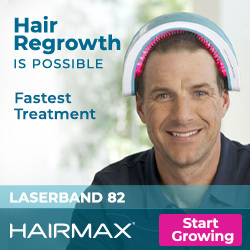 Wrap your head in a towel after the application and wait 15 min – 1 hour, then wash your hair as usual. Repeat this procedure twice a week to see results. 7. Mouthwash: Mouthwash contains anti-fungal properties that can prevent yeast to grow. Wash your hair as usual, then rinse with an alcohol-based mouthwash. Proceed with applying your regular conditioner. 8. Aloe vera: Aloe vera not only fights dandruff but doubles as an itch-fighter as well. Massage aloe vera into your scalp before shampooing your hair. Aloe vera’s cooling effect will soothe your itching scalp. 9. Salt: Grab a saltshaker and apply some salt on your dry scalp. Work it through your hair by giving your scalp a massage. As soon as you’ve worked out the dry and flaky skin, start shampooing your hair. 10. Olive oil: Massage 10 drops of olive oil into your scalp and cover it with a shower cap overnight. The next morning, you can follow your regular shampoo routine. If you want quicker results, you can look for a shampoo that contains olive oil. 11. Garlic: Garlic contains antimicrobial properties and makes it an ideal remedy for eliminating dandruff-causing bacteria. Crush some garlic and apply it on your scalp by rubbing it. In order to avoid the potent smell, mix the crushed garlic with honey and massage it into your scalp before washing your hair as usual. Even though Rogaine is designed to help grow your hair back, it might as well cause some irritations due to a key ingredient called “Propylene glycol”. As a matter of fact, this issue can be easily eliminated. 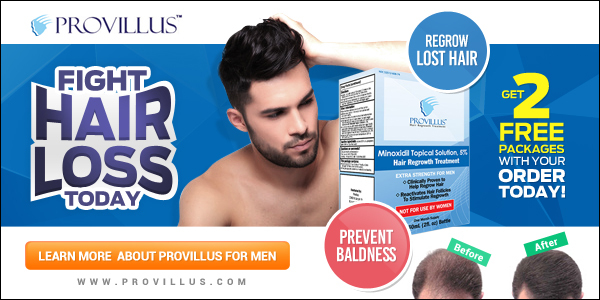 If you’re experiencing flaking from a Minoxidil treatment and don’t want to give up using Rogaine on a regular basis because of its excellent results, the following option might be the perfect solution for you. As the foaming version of Rogaine doesn’t contain propylene glycol, you can use it without worrying about your scalp being irritated at all! Not the minoxidil itself causes the irritation, but the propylene glycol. By removing that ingredient, you don’t have to deal with dandruff anymore and can experience all the benefits of hair growth without all the itching and flaking. If you’re one of the people who experience dandruff due to the liquid form of Rogaine, you can try out the Rogaine foam. If you have any questions, just leave a comment in the comment section below and I will be more than happy to help you out! What a great article and a must read for those suffering from dandruff. I didn’t realize things like stress could cause it. I love your very in depth information and the great list of ways to treat it. I didn’t know there were so many natural ways to control it. I’ve been suffering from dandruff my whole life. My simple solution has been to use a dandruff shampoo with chemicals which take care of the dandruff and itching. I didn’t know there are so many natural options that could help so thanks for pointing them out! I’ve been a bit worried about the chemicals as many of them act as xenoestrogens in the body just like BPA and phtalates. Have to give the natural options a try! This is wonderful! My head actually has been quite itchy lately and noticing some flakes. I will definitely try some of these treatment options. Thanks for the article! Hi Holly, you’re welcome! If you want to know anything else about the right hair care, feel free to visit our site anytime soon. I Read the Article its very informative and useful. Thanks for sharing such informative content about how to remove Dandruff.